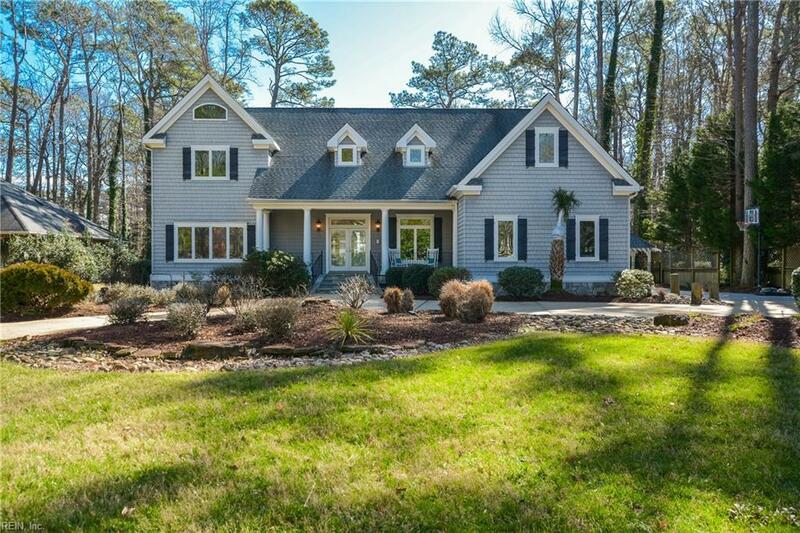 2526 Entrada Dr, Virginia Beach, VA 23456 (#10240862) :: Abbitt Realty Co.
Beautiful custom-built home on acre private wooded lot near Sandbridge, oceanfront & bases. One of TWO luxury master suites on 1st floor. High ceilings, custom wood & tile throughout, gourmet kitchen w/ 50 custom cabinets, porcelain tile, granite counters, & double ovens. 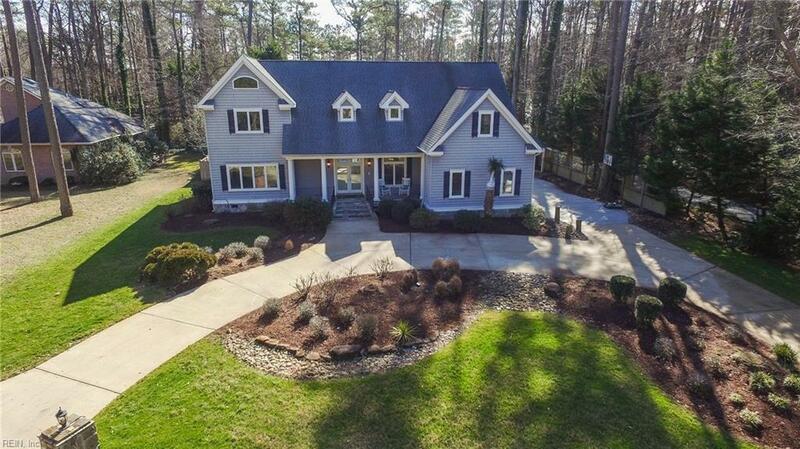 2nd floor master suite featuring full kitchen, living area & luxury bath w/ soaking tub. Private entrance can be added! Covered front & back porch, side load garage, gazebo area perfect for grilling, LG back patio area for entertaining around the salt water pool! Lifetime extruded vinyl shake siding, 50yr roof rating, DP50 windows & doors rated to sustained 130mph winds, circular driveway & custom landscaping. 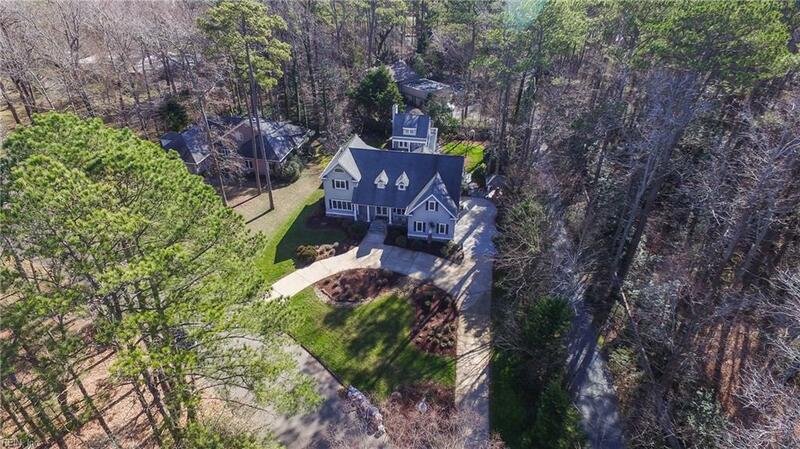 Pool house has everything for entertaining & overnight/extended guests with full bath, wood burning fireplace, kitchenette, granite counters & gym area. Living space upstairs makes for great theater room w/ built-in surround sound Infinity speakers. AND outdoor shower attached to pool house! Welcome home!